Laid down, date unknown, as a Maritime Commission type (T1-M-A2) tanker hull, under Maritime Commission (MC hull 1522) contract at East Coast Shipyards Inc., Bayonne, N.J.
Decommissioned, 15 May 1946, at San Francisco, CA. 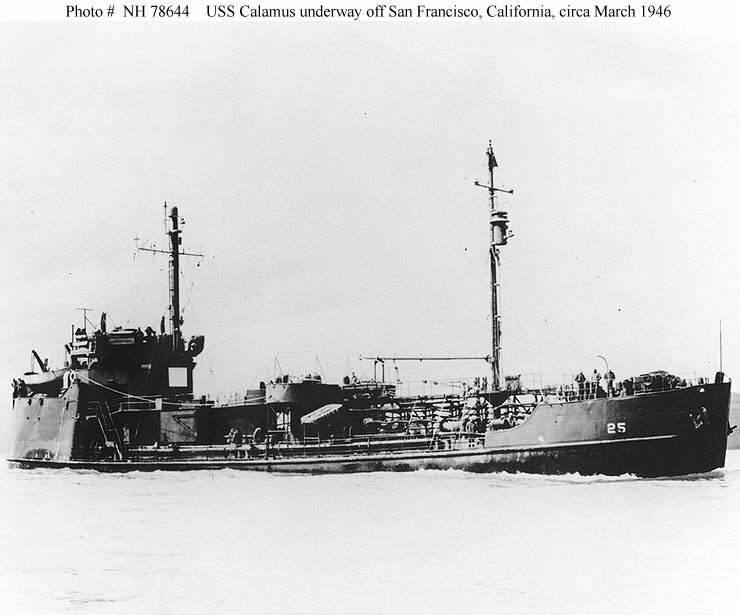 61k USS Calamus (AOG-25) underway off San Francisco, CA., circa March 1946. 129k USS Calamus (AOG-25) blown aground by Typhoon Louise at Naha, Okinawa, 12 October 1945. 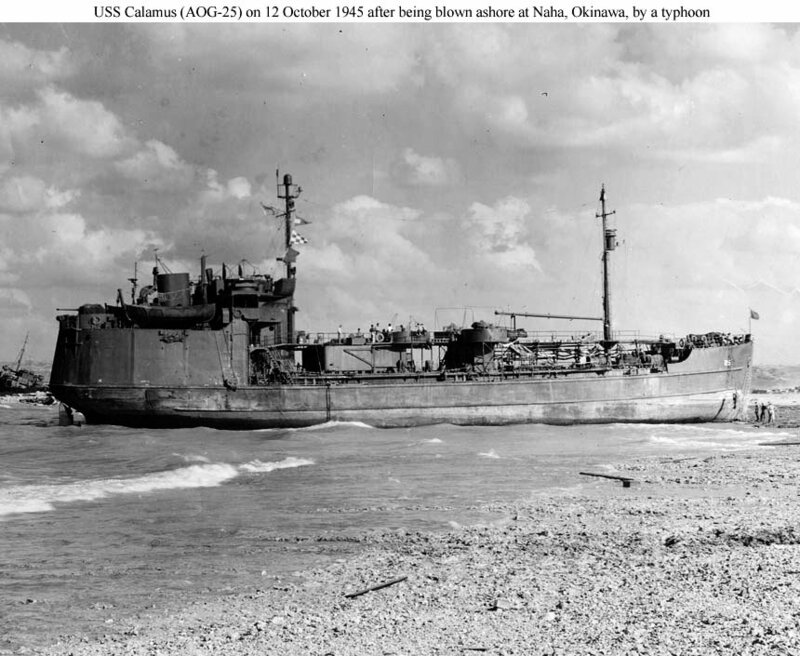 Unlike her sisters USS Sheepscot (AOG-24) and USS Sacandaga (AOG-40), which were destroyed in place after being wrecked in typhoons, Calamus was refloated within about three weeks and fully repaired.